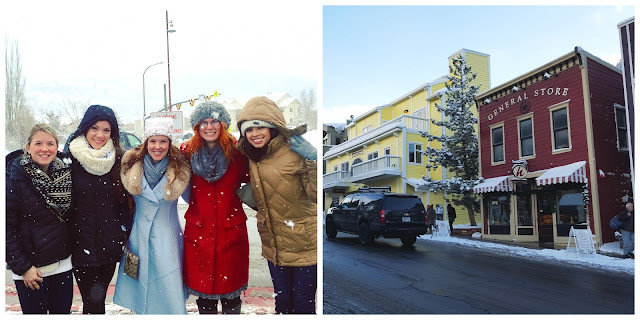 I had an amazing time at the Sundance Film Festival last year and immediately added it to my list of things I would absolutely have to do again one day. I never thought it would be the following year, but when Sara reached out about spending Ally's bachelorette party at this year's festival, I didn't even think twice before committing. First, we were talking about Ally, my Madrid-Marathon-partner-in-crime. Second, I would get to go back to Sundance! When my brother-in-law reached out to me last year about spending a girls' weekend at Sundance for my sister's birthday, I didn't even know where the festival took place. Now, Park City, UT is one of my favorite places! Thursday morning, I pulled myself out of bed at 3:30, took Peyton for a walk through the snow and headed to Salt Lake City, where there was just as much snow. Can you believe this is real?! Ally and I landed within minutes of each other so when I got off the plane, there she was waiting at my gate. After picking up a car and the rest of our party, we were on our way to lunch in Salt Lake City. We ate lunch and made our way to Park City, stopping for necessary provisions along the way (wine and cheese) and checked into our condo. I think part of the reason I fell in love with Park City last year is because of where we stayed. We stayed somewhere different this year, but equally amazing, and these little Park City condos are just perfect. Once we were all settled, we took one of the Sundance shuttles and headed onto Main Street for dinner at Yuki Yama. 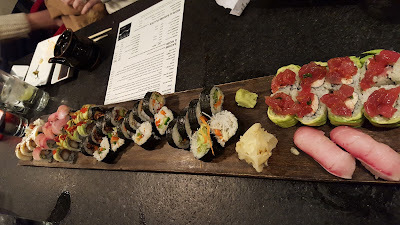 We basically ordered all of the sushi off their menu. After some much-needed sleep (we had all been up way earlier than normal to catch flights), we woke up Saturday morning and made our way around Park City, trying to catch some films. 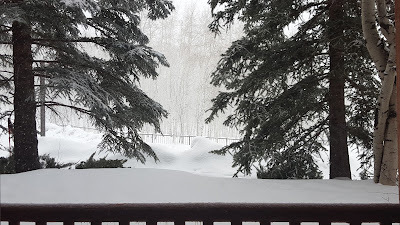 We didn't have nearly as much luck getting into films as I did last year, but we still had fun wandering around Park City, doing a little boutique shopping, and watching the snow fall. Eventually, we got into the film, "Sophie and the Rising Sun," which I really liked. It takes place in a tiny fishing village in South Carolina in 1941 where a Japanese-American man finds himself just before the attacks on Pearl Harbor. The film is based on a novel which I think I might read, especially after listening to the director explain how and why the film deviated from the novel. Sunday, about three hours after I went to sleep, I was up and on my way to the airport again to head home to DC! It was a short weekend, but it was a blast! Luckily I didn't run into any issues getting back to DC. I love that I had the chance to go back to Sundance this year. It's such an incredible experience and Park City is such a great town to spend a winter weekend! I hope there are plenty more Sundance Festivals in my future! 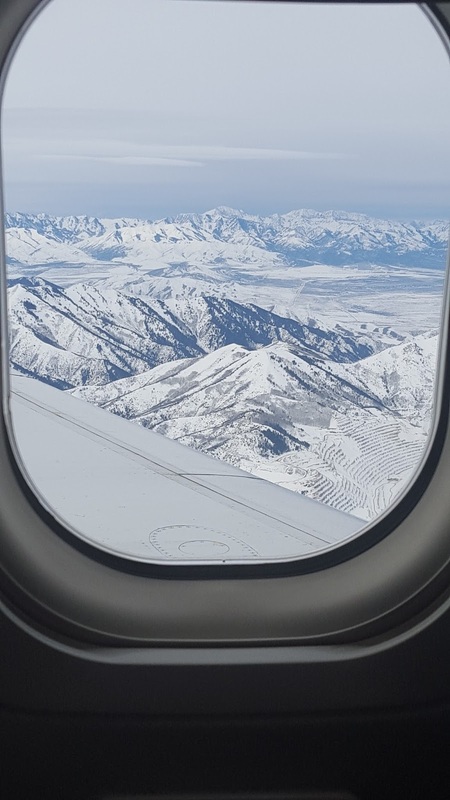 Have you been to Park City or to Sundance? Where's your favorite place to spend a winter weekend?